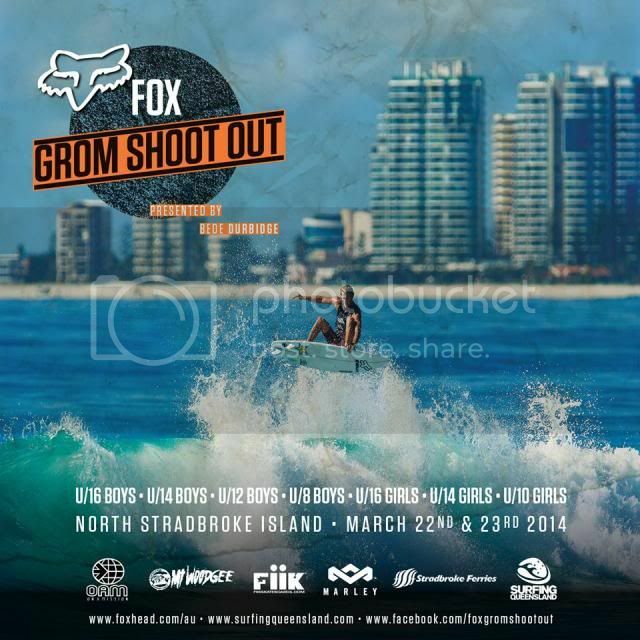 Fox Grom Shootout presented by Bede Durbidge ran March 22 - 23 at North Stradbroke Island. Mikey McDonagh won the final in his first year in the U14's. In the final held in 3'-4' clean waves at Deadmans Mikey stamped his superiority over his opponents with a massive closeout reverse to finish with a substantial lead. 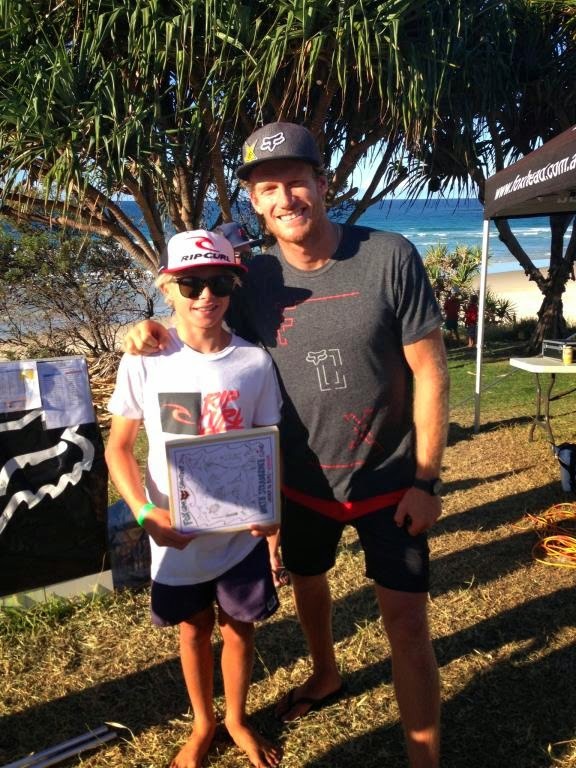 Congratulations grom !